The Space in Evanston is a notoriously comfortable, intimate venue. 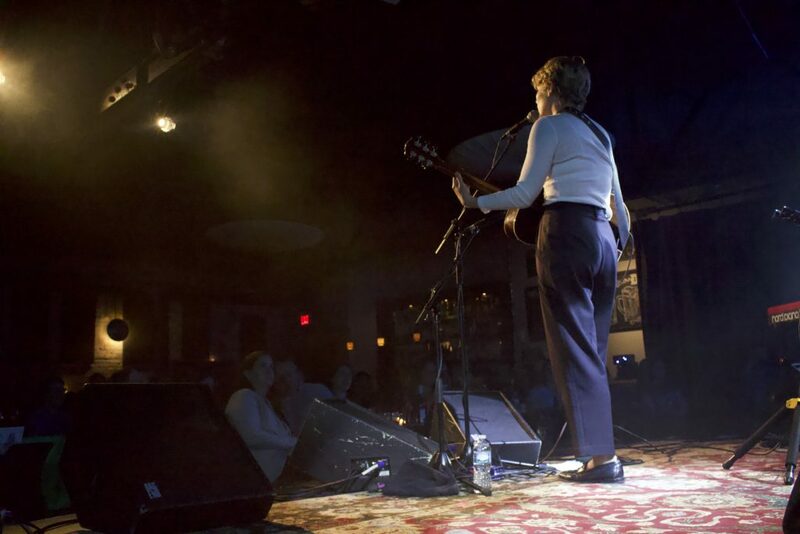 When Caroline Smith played there on Saturday night, the venue was at its coziest–its floor filled with small, candle-lit tables and the stage covered with well-worn oriental rugs. There was no need for dramatics. 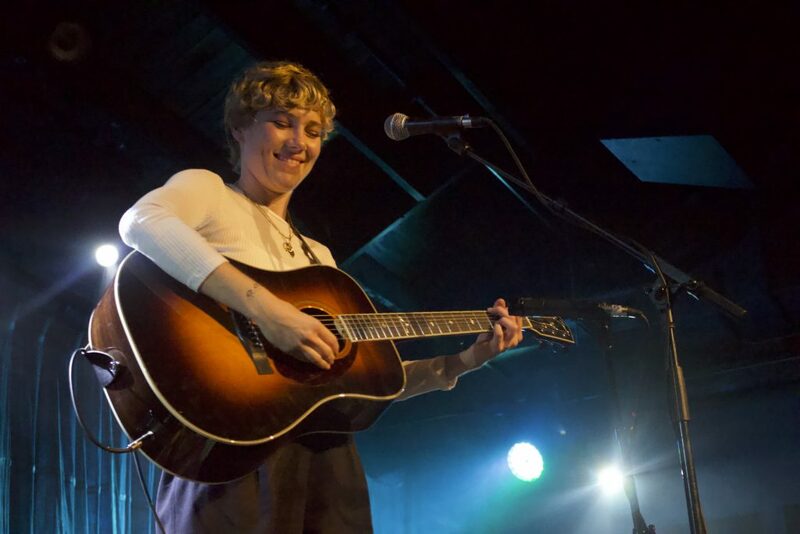 Caroline Smith is a Minnesota based singer/songwriter who performed solo that night with only her acoustic guitar. She blends R&B, indie, folk, and pop elements into her music and her songs deal with love and life and even her beloved dog, Gracie. The setting was perfect for her intimate lyrics and laid-back stage persona. Though Smith has not released an album since Half About Being a Woman in 2013, she still seems to have a strong resonance with her listeners. From the beginning of her set she established a light-hearted familiarity with the audience, opening with her satirical love song “Buy Me Something.” They all seemed in on the joke. She sang another song about love, and another—and then laughed and called herself out on it. “I don’t only sing about men!” she joked before transitioning into a cover of a song about growing up and exploring womanhood. She confessed to the audience that recently turning thirty has had a huge impact on her perspective, something they seemed to sympathize with. It struck me how honest and comfortable she was sharing herself with a room full of strangers, both through song and conversation. The mellow blue lights and her soft, full voice seemed to speak directly to the most vulnerable, human parts of the audience without transgressing any boundaries. Good songwriters like Smith have a knack for this. Even five years after her last release, people still identify with the ephemeral moments she captures in song and find themselves singing along. Smith played quite a few tracks off her studio albums at the start of the set but took more liberty towards the end, taking advantage of her solo performance to play several new and in progress songs. She played three songs with Eric Mayson who had opened for her that night. The two have released one track together, “How Could You,” on Mayson’s 2015 album, Detail. 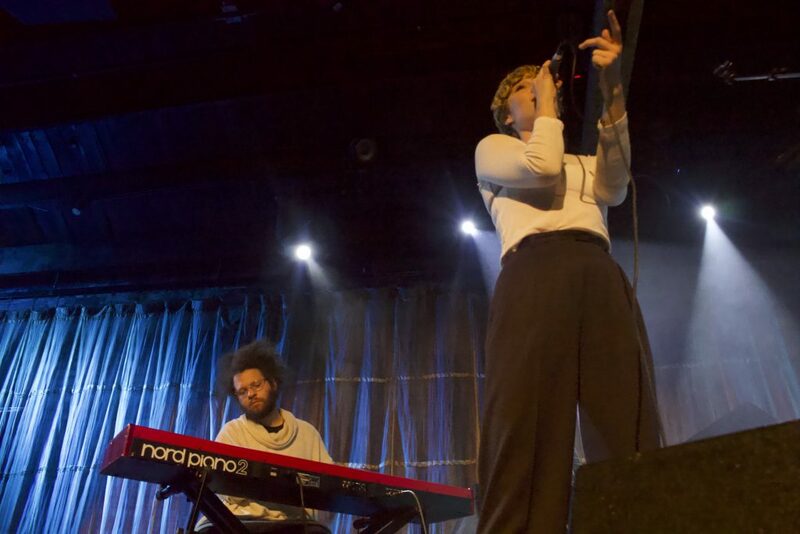 Here you could really see the duo’s shared appreciation for soul and R&B, with Mayson playing keys and Smith losing her guitar in favor of stage mobility as she sang her heart out. Eventually Mayson retired off stage and Smith resumed her solo performance. After Mayson’s surprise appearance, the energy of the crowd ran high and Smith used this to round out her set with a mix of comedic and popular songs. The whole time, she was smiling. More importantly, so was her audience. For all her emotionalism, Smith never seemed sad or dreary. Good times, bad times, hard times, she rolls them all into song and keeps on singing.